These meatballs were so easy to make and I actually made them the day before. I fried them just to seal them up then put them in the fridge for the next evenings’ barbecue (you can cook them on the grill right away if you choose). 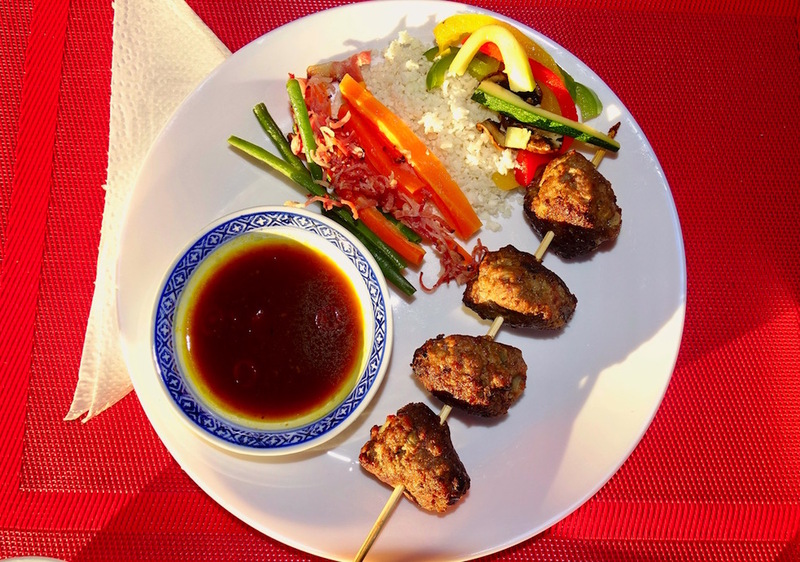 The next evening I just popped them on a skewer stick and cooked them for 20 minutes alongside my Asian seasoned veggie pockets and ta-da, a great meal done in 20 minutes with no clean up except the plates and silverware. Oh yeah, I did make a delicious spicy tangy orange sauce from the broth to dip the meatballs in and to smother my cauliflower rice! 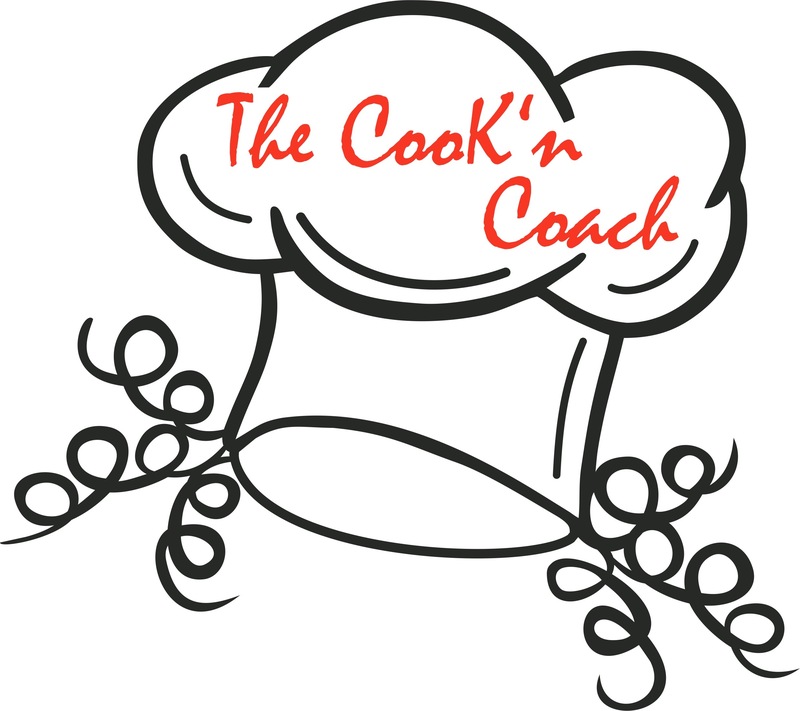 This was a hit with my hubby and so easy to calculate timing on the grill. 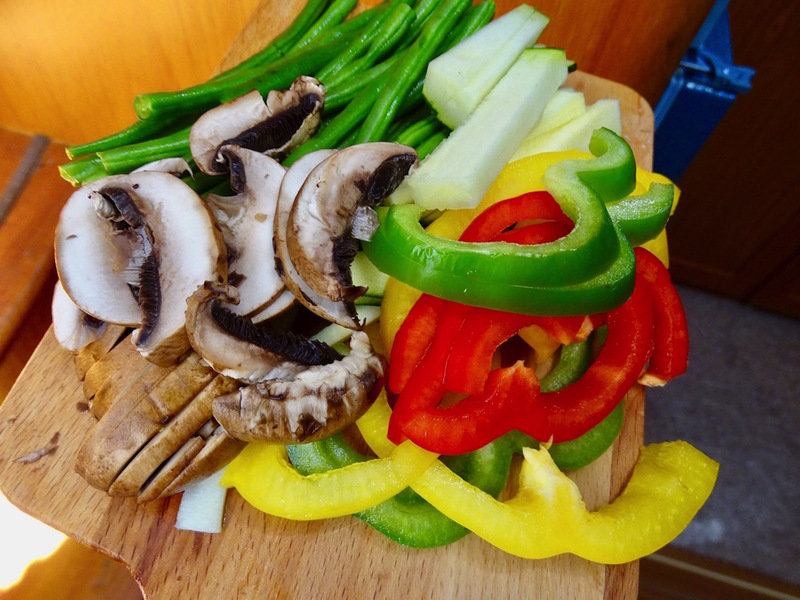 Heat the grill to medium high while you prep the veggies and make the meatballs. I've made two separate veggie pockets. One takes 10 minutes the other 20 minutes and the meatballs take 20 minutes. Be sure to flip all the pockets halfway through their cooking time. Mix all the ingredients for the meatballs in a medium bowl. Roll into personal size meatballs (about 12). Heat the ghee on high. 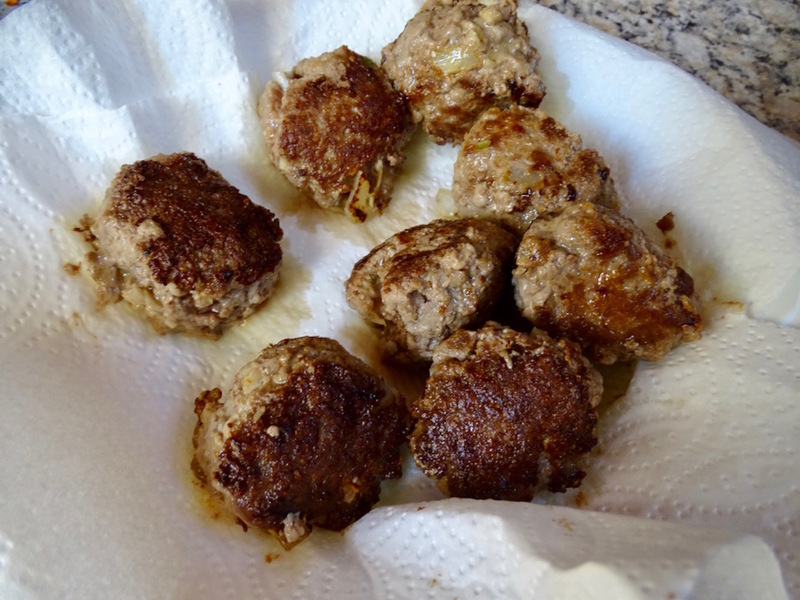 Fry the meatballs in the hot ghee just to sear them. Set seared meatballs on a paper towel to drain. I made a pocket for my mushrooms, peppers, and zucchini since they'll only need 10 minutes on the grill (5/5). Sprinkle this pocket with a bit of olive oil. Don't seal it up yet! Be sure to add a Tbsp of the spicy tangy orange sauce over this pocket. The other pocket I used carrots and green beans with bacon. They take 20 minutes. Add a dash of Himalayan salt and fresh ground pepper. Don't forget to double the foil on each pocket so they don't leak when you flip them. 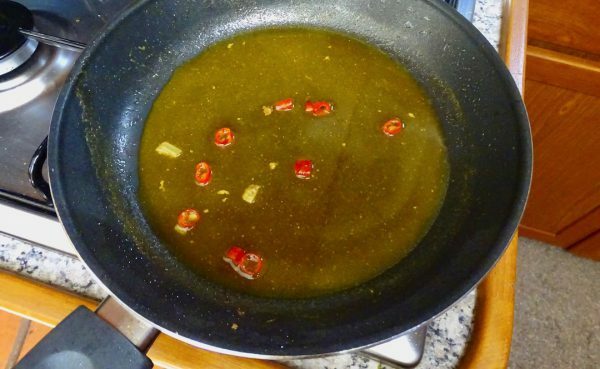 In a frying pan place all the ingredients except the red chili pepper. Heat on low until well blended. Drizzle a bit of the sauce over the zucchini, mushroom and bell pepper pocket. 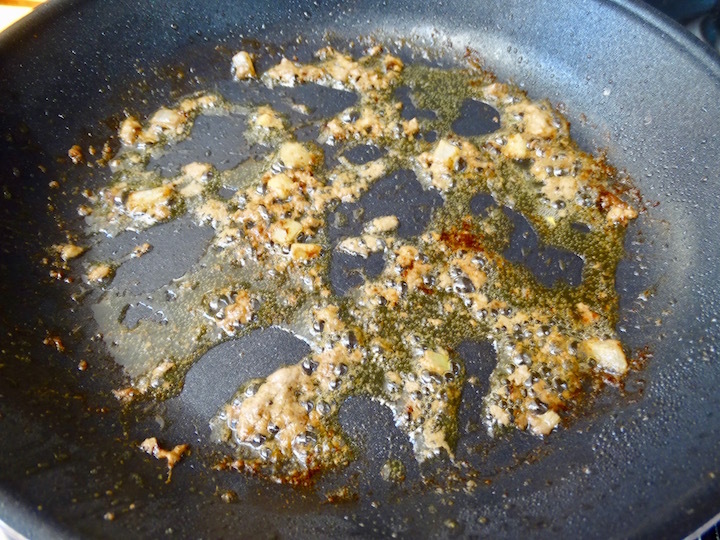 Sprinkle with toasted sesame seeds if using. Make sure when you seal the ends they are tight so the juice doesn't leak on the grill. I figured out how to get all the seeds out of hot red chilis without touching them and burning the heck out of my eyes. I usually freeze my chilis this way I always have them on hand. I snip off the end that was attached to the vine and roll it back and forth between my thumb and pointer finger over the sink until all the seeds fall out. Then I slice in circles. BUT still, use the skin of the orange with some soap to make sure all the red chili is removed. 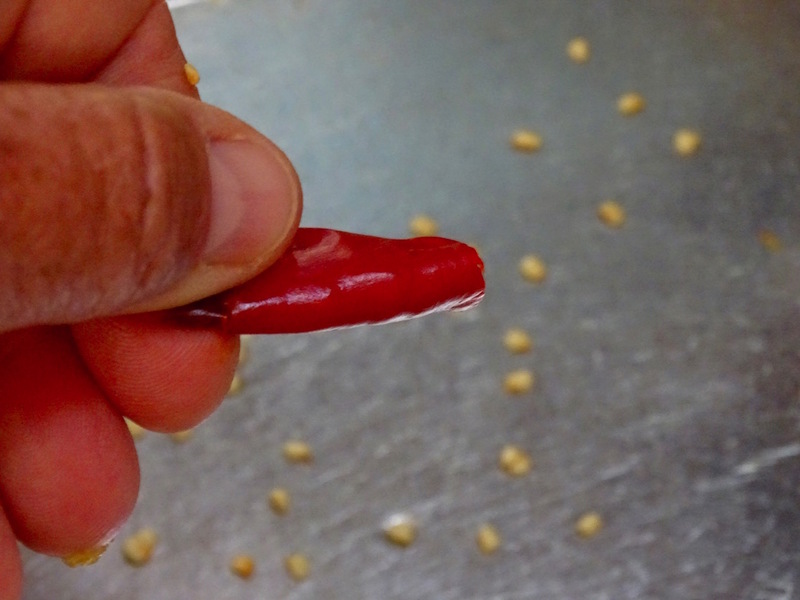 Slice the chili and add to the remaining sauce. 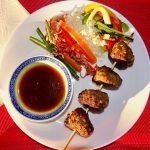 Serve it warm alongside your grilled veggies and Asian Meatballs. 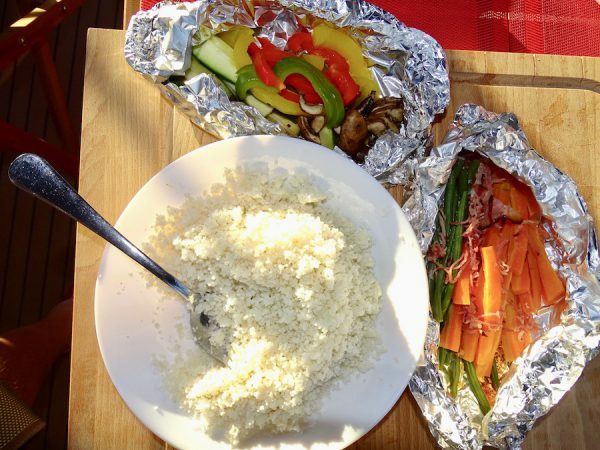 We like this dish with cauliflower! TIP: You can also use an Italian twist with Italian seasonings and steam your zucchini noodles for 5 minutes in a foil pocket with sundries tomatoes and tossed in Italian seasoning sprinkled with olive oil. 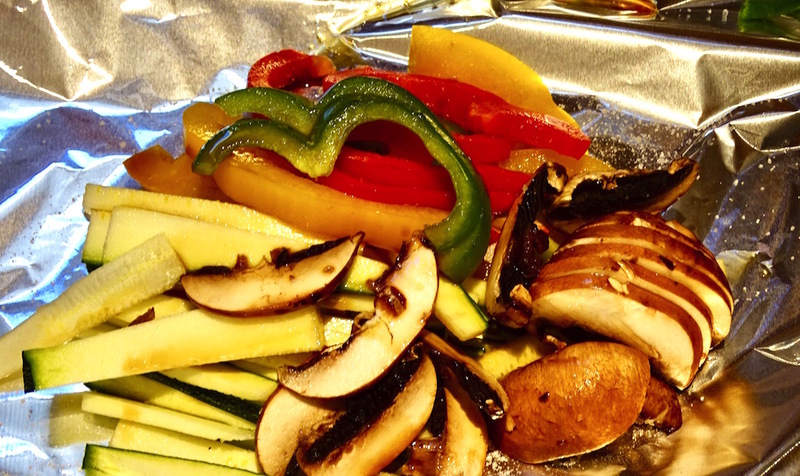 The ideas are endless, let me know what your favorite Grill Pocket is and I'll share it on my site!